atiku abubakar and olusegun obasanjo. He arrived the Olusegun Obasanjo Presidential Library Complex, Abeokuta, at 1.09pm. Former President Olusegun Obasanjo is one of the most sought after personalities each time a general election is close by. His Ota residence is Mecca of sort to most presidential and governorship candidates. The latest presidential candidate to come knocking at his door is Atiku Abubakar, the presidential candidate of the Peoples Democratic Party (PDP). Atiku is currently in a closed-door meeting with the former President. 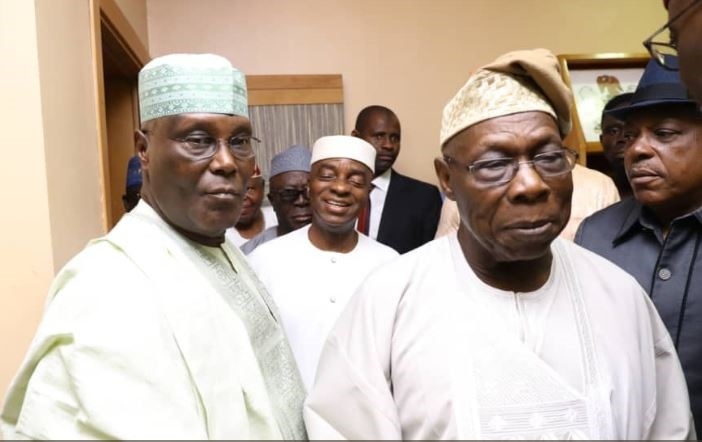 Atiku was the Vice-President to Obasanjo between 1999 and 2007. On Atiku’s entourage are the PDP National Chairman, Uche Secondus; his campaign director, Otunba Gbenga Daniel; Senator Ben Murray-Bruce; and a former Cross River State governor, Liyel Imoke, among others. The meeting is not unconnected with Atiku’s presidential ambition in 2019, observers say.